How about some Leaks? They're always fun! New Construction Builder: "DR Horton Homes, Continental Series"
About a week from delivery of the home, an unfortunate leak occurred in the ceiling. 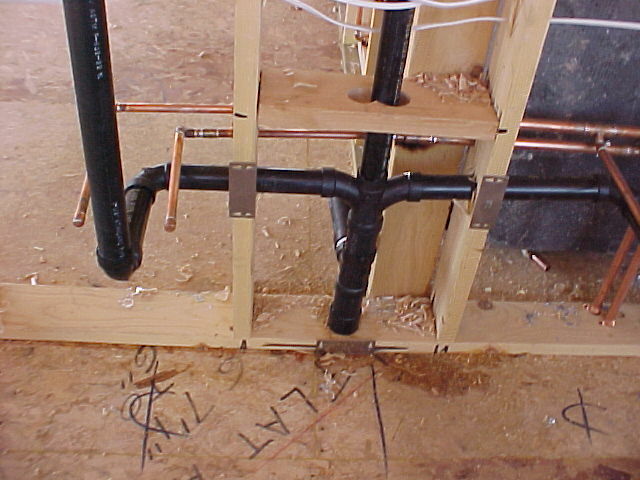 A pipe joint section at a 90 degree junction had failed in the Polly-Tubing. Apparently the plumbers had not taken proper precautions with this particular joint and the result was a failure of that joint. The leak poured water down the interior of an external wall of the home at the master bathroom. 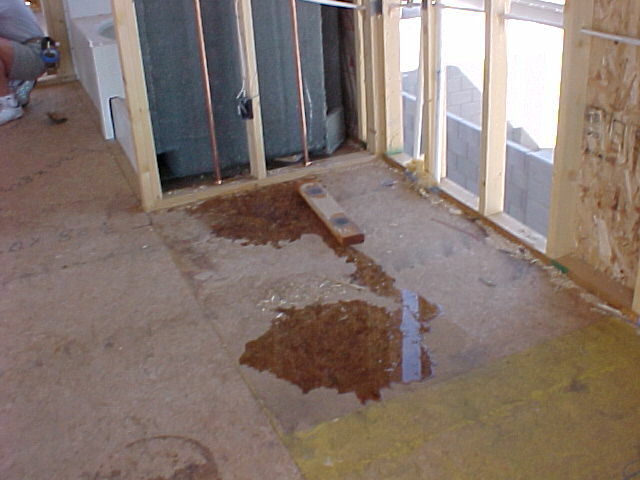 The leak caused enormous damage. The footage and images below were taken the day of the event and noticed by the Buyer and the Buyer's Realtor. The repair required, repairs/replacement of the failed 90 degree joint, demolition and excavation of the entire north wall of the bathroom, removal and all insulation material, drying of the cill-plate (a 2 X 4 plate that sits on top of the stem wall. 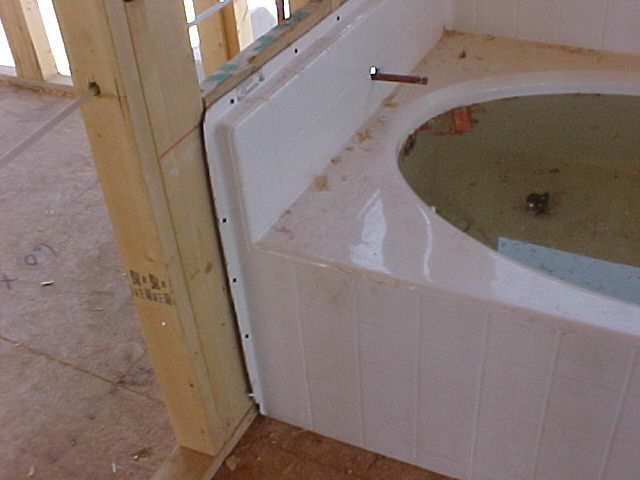 The cill-plate is what the vertical studs are fastened to), removal of all water soaked materials from the house, testing by a licensed moisture/mold remediation firm (to ensure that no mold spores had grown from the event), reassembly of the wall and installation of the insulation batting and repainting of the bathroom. Delivery of the home was delayed by about two weeks. 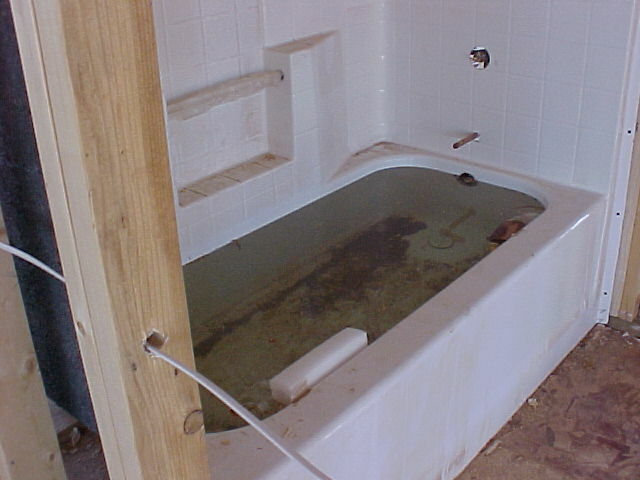 Additional leaks in the Polly-Tubing were discovered in the kitchen and in the guest bathroom. These leaks were caused by nails that had missed their intended marks during the drywall procedure. The walls were demolition and excavated and the appropriate repairs were made. Continental Homes was very responsive and completed the repairs without question. 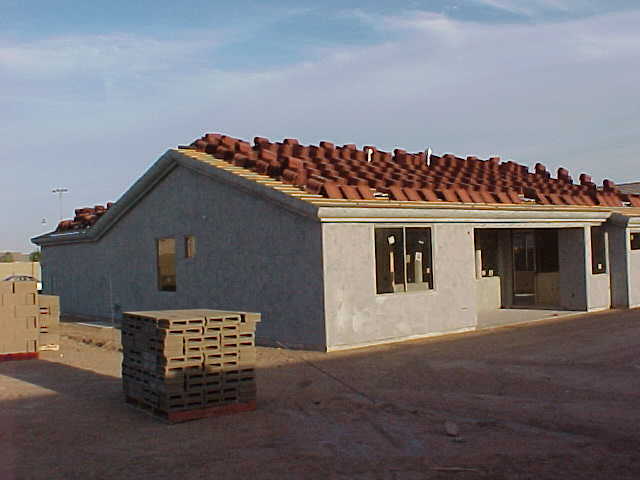 Once again... this is a graphic example of some of the items that can go wrong when a new home is under construction and even after the construction process has been completed. Home Inspections are ESSENTIAL if you wish to protect your investment.